Discussion in 'Mapping Questions & Discussion' started by Rexy, Dec 24, 2008. 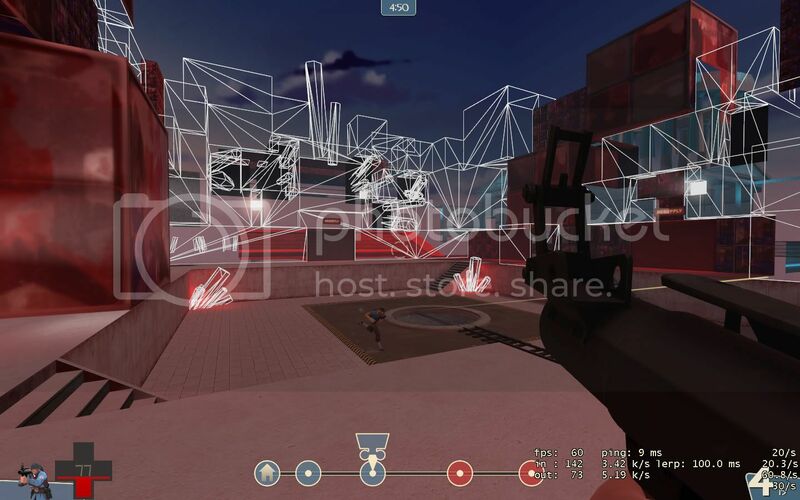 Last night after play testing my map with a few friends, one of them took a few screenshots to show me the wireframe issue he was getting with my map. But to him and everyone else playing, the map looks like this. See how the textures on the surfaces that ARE being rendered look different? My compile log doesn't seem to be telling me anything in this case, and as I am going through it I think it's not current, I'll recompile and get the log up here. But in the meantime, can anyone tell me what's causing this? It means they are missing the textures. I got this when playing synergy and didn't load up the relavent versions of HL2. Erm, you'll want to include any custom textures with the bsp in a .bz2 (compressed) format (i think that's it) or combine them using pakrat (so it's within the bsp itself, in one neat file). P.S. 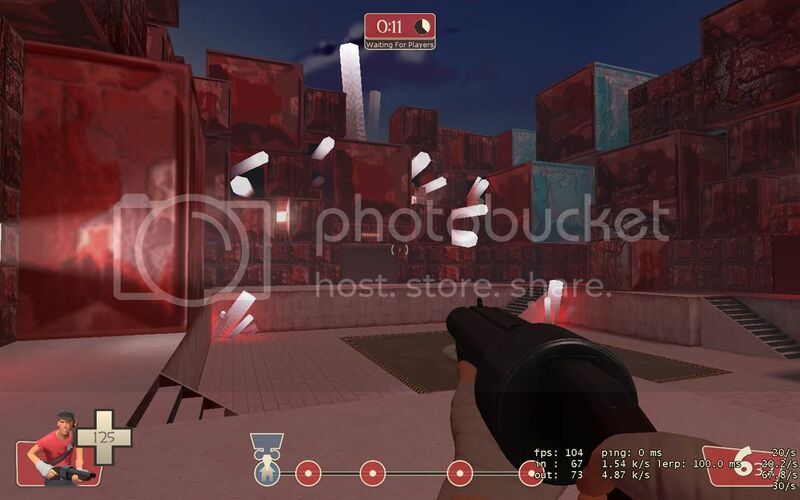 In the case of Half-Life core games, some people don't have them and the textures wont be available to them. That's the thing: I did use Pakrat--and the map was Bzipped and placed on our server's fast dl service. Not my first attempt in using custom textures by far. What's bizzare is that the majority of the map's textures work, just some areas the brushes show up as wireframe. And I don't think the textures are missing, because they would show up as the famous purple/black checkers, unless I just don't know anything. If you look closely you can see some of the textures are working, like the floor textures, and even some of the block's textures, which are all custom--I just don't get why some of the alignment on the blocks don't work right and why some brushes don't work at all. I check again with Pakrat, It found more textures to add...on top of the ones I already added to the map last night. They are all in the same directory. Has anyone ever had to use Pakrat more than once to get all the textures packed into the map?